Another Dark and Light news update! Dark and Light – Closed Beta is Finally Here!! Dark and Light Closed Beta Signups are now live! Yes, Thats right if you have seen it yet, I was part of the livestream Q&A with the developers, and it was incredibly fun, and enjoyed interrogating them with my unvetted, uncesnored questions! Hopefully I can do another Q&A with them again in the future. 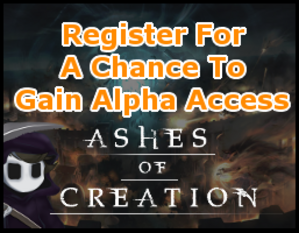 Ashes of Creation Kickstarter – My Opinions! various packages and which one i bought. In this video i talk about what we know so far about ashes of creations combat, the class system, the know races and i finish off the entire video with some much enjoyed speculation and theorycrafting. Enjoy the video! I take a look into the new upcoming game rend, and give a basic overview of what the game is about! Upcoming Sandbox Survival game, developed by ex-blizzard developers. Alot of crazy stuff going on in this trailer, looks pretty good though!